Finding a retirement community where you will fit in is important when choosing a place to live. The best way to decide where you should retire is to find the place that best meets your needs and circumstances, however you define them. How close will you be to friends and family? The Villages at Marion is conveniently located where Marion and Cedar Rapids come together and right next to Thomas Park. Emergency preparedness? Each of our apartments come equipped with an emergency pull cord system in our independent and assisted living buildings. To ensure the very best care for our residents, our employees are trained and certified to respond to emergencies when the pendants or cords are activated. Are there transportation options? If you no longer drive, The Villages offers transportation to local appointments and planned activities. Is it accessible and affordable housing? 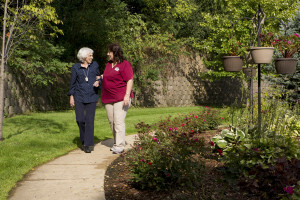 The Villages have a variety of apartment options whether it’s for those seeking independent living or assisted living. Think of what space and care will meet your needs. Do they provide services addressing aging resident’s needs for shopping, meals and sociability? Visit The Villages at Marion’s Facebook page to view the activities we provide our tenants!